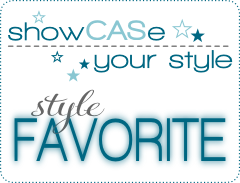 Our STAMPlorations Spring Fling event is coming to an end. It's been fun and there has been a lot of crafting inspiration. 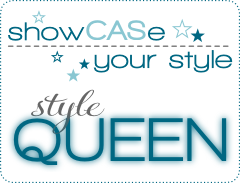 Today's prize is your choice of 1 in-stock 4x6 Shery Russ Designs Stamp set, a $15 value. 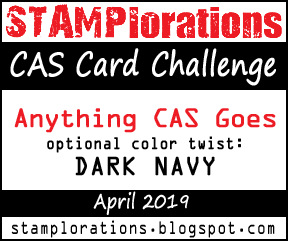 To be eligible to win this awesome prize, leave a comment on the STAMPlorations post here and on my post as well as my fellow design team members' blog posts. You have until the 19th of April to leave comments. 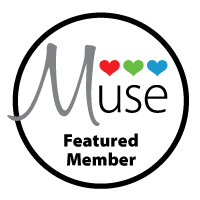 Also, to further celebrate Spring, STAMPlorations is offering 25% off all products in the Spring Fling section of the store. 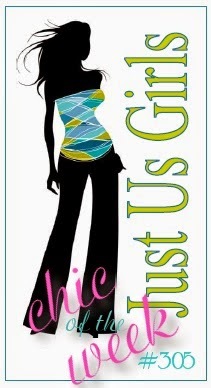 Also, you can use my code STAMPGIRLSUE at checkout for an additional 20% off. 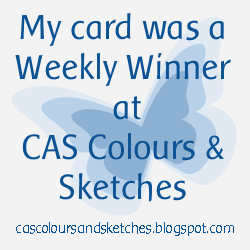 For my card, I started with an A2 kraft cardstock panel. 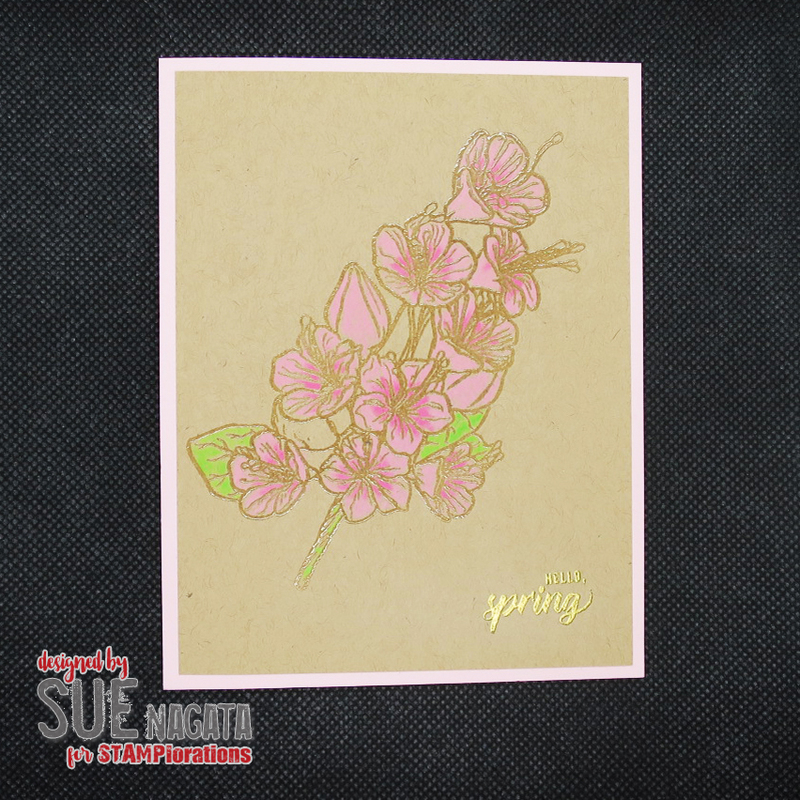 I stamped the image from STAMPlorations IN BLOOM: Charmed Cherry Blossoms with Versamark, applied gold embossing powder and heat set the image. 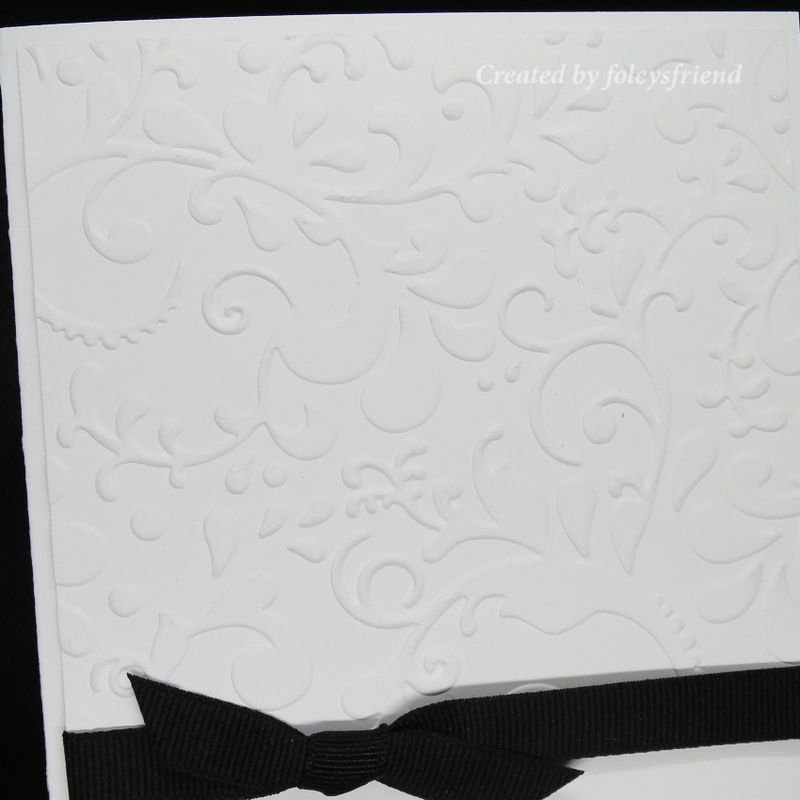 The sentiment is also heat set with gold embossing powder. 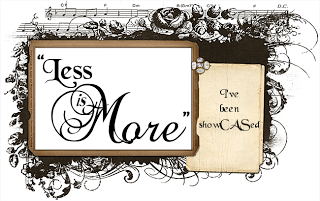 The sentiment is from STAMPlorations Hello Coffee stamp set. I added colour with Prismacolor Premier colored pencils. I trimmed the kraft panel slightly and matted with a light pink cardstock. Cherry blossoms are a very welcomed sign of Spring after a long and dreary winter. 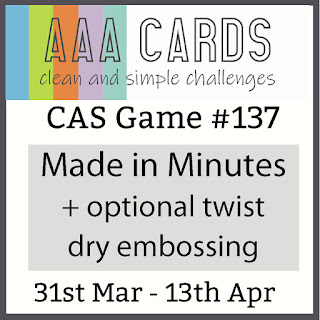 A "Make Your Mark" challenge is one where your entry MUST contain the use of anything that can make a mark - Stampin' Write, Copics, Promarkers, Painting, Chalks, Watercolours, Sponges, Stencils, Masks etc. etc. 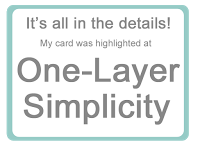 This is a one-layer card. I masked off a 1.75" horizontal strip with post-it tape. I added colour with ink blending tools and distress inks (salty ocean, mowed lawn) applied to represent the sky and grass. 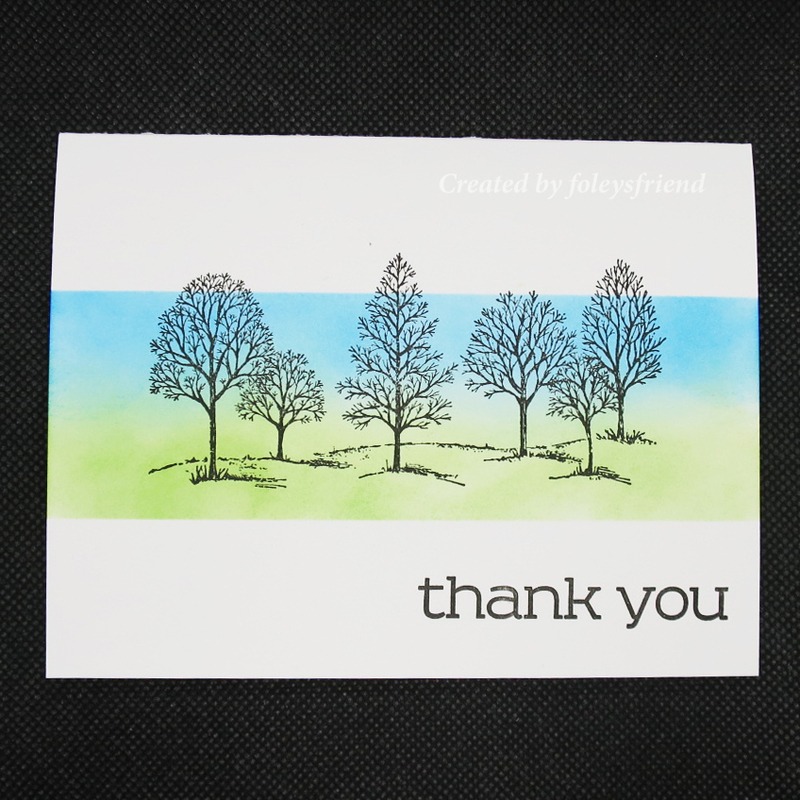 I removed the post-it tape and stamped the image from Stampin' Up's Lovely as a Tree stamp set. The sentiment is from Papertrey Ink's Keep It Simple: Thank You stamp set. It's day 11 of the Spring Fling. When I think of Spring, I think of daffodils (aka narcissus). The bright yellow color is a welcomed splash of color after a dreary winter. 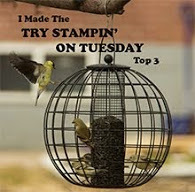 I started with STAMPlorations' The Birds an the Blooms stamp set. 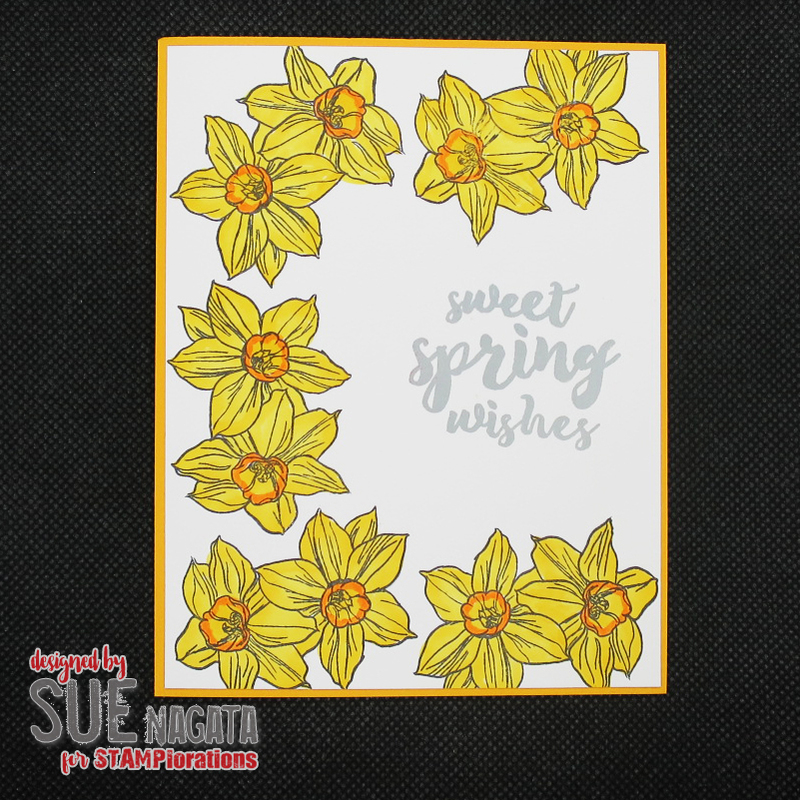 I stamped the double daffodils multiple times with Memento Tuxedo Black ink, making a "C" around the card panel. 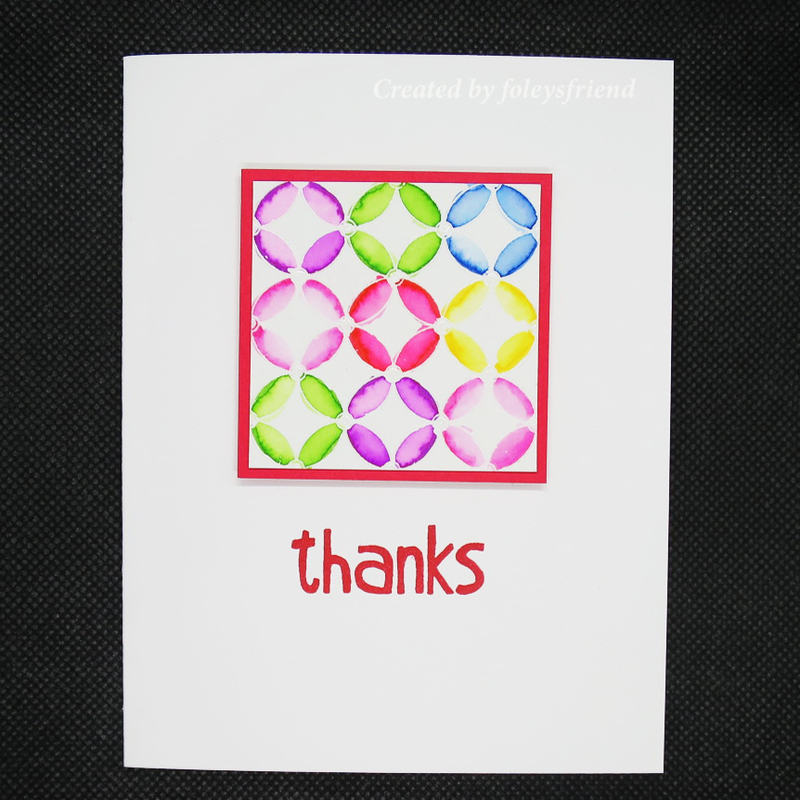 I left the space on the right side for the sentiment, from the same stamp set stamped with Hero Arts Soft Granite ink. I added the color to the daffodils, using Copic markers. I used similar colors as a Narcissus Orange Progress. I matted the panel with yellow. I used to work for the Vancouver Park Board in Stanley Park and learned that daffodils are not all the same and are not all yellow! Who knew? I saw the current challenge at AAA Cards and just knew I had to participate. I was intrigued by the "time limit" challenge. 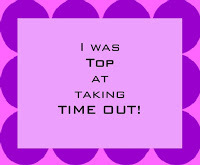 I had not previously ever timed myself. 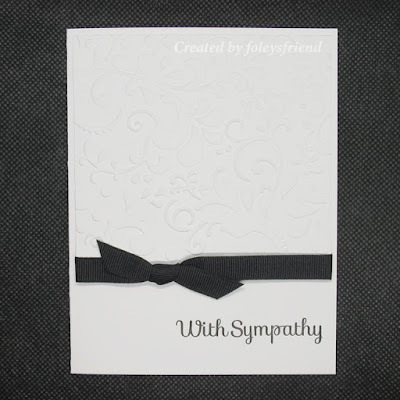 I sadly was in need of a sympathy card for a former co-worker. 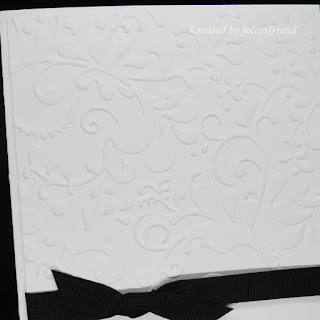 I started with Couture Creations' Exotic embossing folder and dry embossed a white A2 panel. I trimmed the panel to 4" x 3.75". I added some black grosgrain ribbon and a "fake" bow to the bottom of the panel. By "fake" bow, I mean that I cut a 2.5" piece of ribbon and angled both ends of the piece. I looped around the small piece with a longer piece of ribbon to make it look like a bow. I adhered the embossed panel and ribbon to an A2 card base. The sentiment is from Simon Says STAMP's Flower Friend stamp set. I timed my efforts -12.5 minutes. Not bad, eh? It's weird. I retired and somehow don't seem to be able to find time to craft. When I was working, I found time to craft. I guess I "needed" the distraction when I was working. Now that I don't feel the stress of working, I guess crafting has taken a lower priority in my life. I certainly still love to craft but I seem to be missing the "need" to craft. I need to figure out a how to find more crafting time. So, I've been absent from joining in card making challenges. I'm working on that. 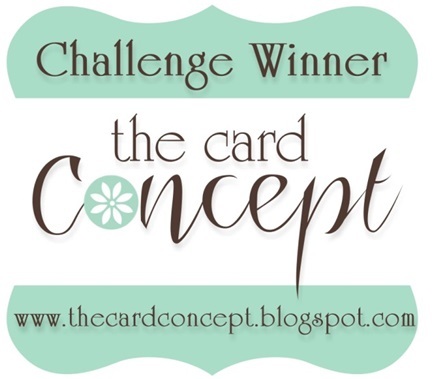 I've made a card for the current challenge at A Blog Named Hero. I dug out my Hero Arts Looped Circle background stamp (it was buried in a box of mounted stamps!). I love this stamp. 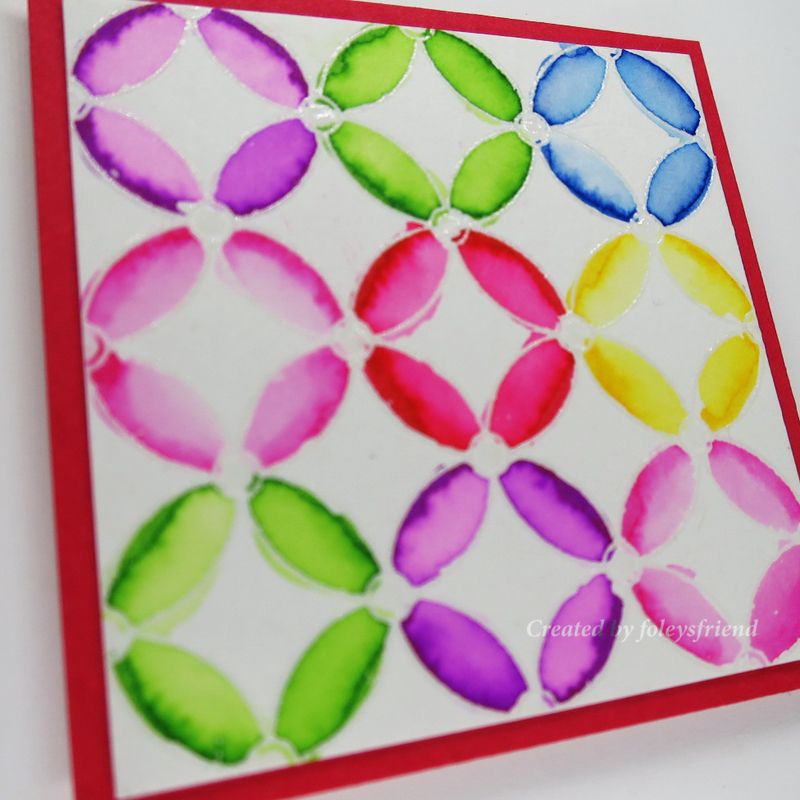 I stamped it onto watercolor paper with Versamark and used clear embossing powder which was heat set. I added color with Zig Clean Color Real Brush markers and a water brush. I trimmed the panel to 2.25" x 2.25" and matted the square with red cardstock. 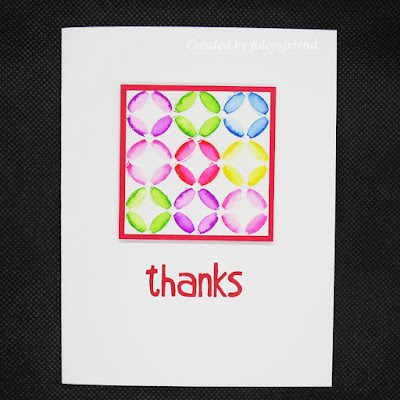 The sentiment is from Hero Arts Thanks A Bunch, stamped with Hero Arts strawberry ink. I love bright colors. It's something my favorite aunt used to like too. Bright colors make me happy. I started with Tim Holtz' Latticework stencil and distress inks (picked raspberry, mustard seed, spiced marmalade). I trimmed the inked panel to 3" x 3.75". I stamped the sentiment, from STAMPlorations Stamp It Big: Congrats stamp set on the panel and matted it with black. 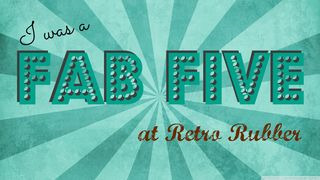 I found a scrap of bright lines patterned paper which I cut into a fish-tail banner. I added some die cut stars using Lawn Fawn's Puffy Stars dies. 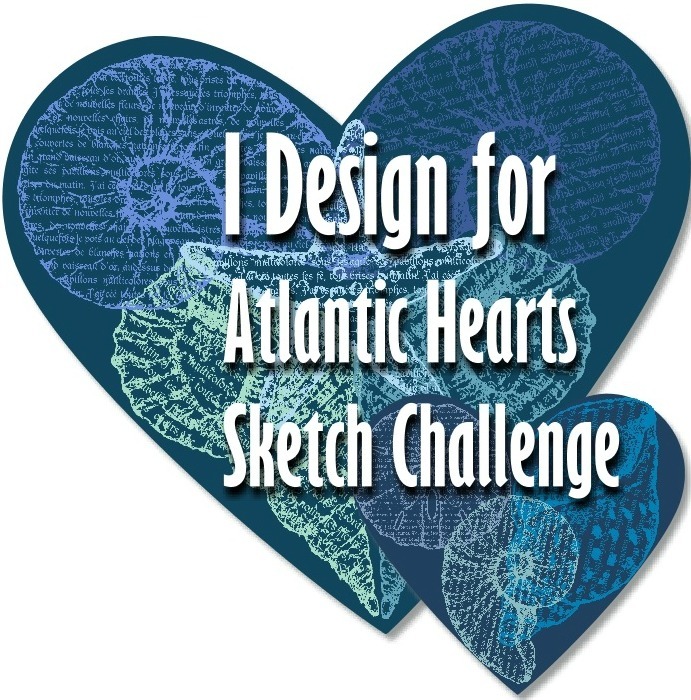 We'd love to see how this week's sketch inspires you. I started with a 1.75" x 5.5" strip of navy cardstock. 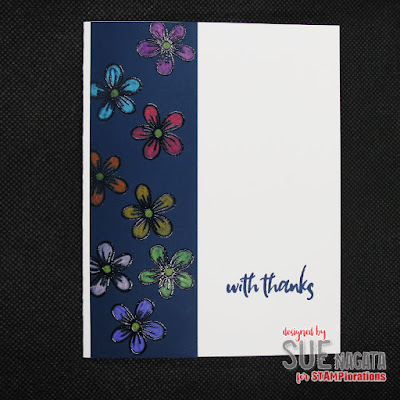 I stamped the simple five petal flower from STAMPlorations It's A Girl Thing: Sunshine stamp set repeatedly with Versamark ink and used clear embossing powder which was heat set. 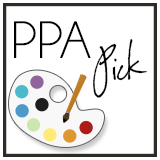 I added color with Primacolor Premier colored pencils. I like how the bright color "pops" off the navy blue strip. 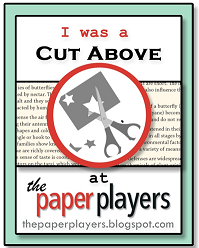 I adhered it to the left side of an A2 card. 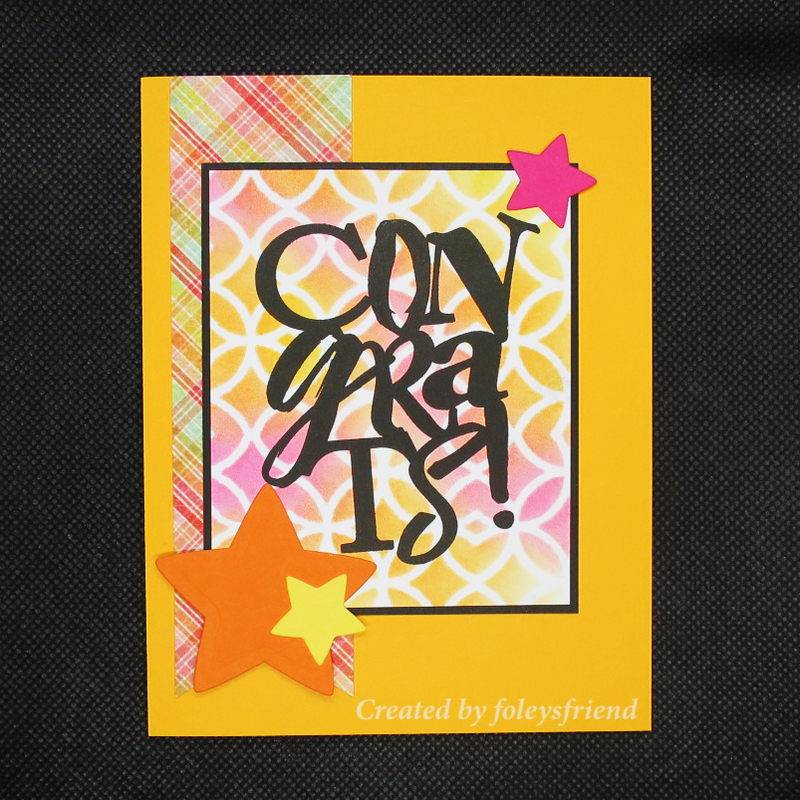 The sentiment is stamped with Hero Arts Navy ink and is from STAMPlorations Grateful Flutters stamp set. Thanks for stopping by. We'd love to have you join us this month.